I’m walkin’ right down the middle of Main Street U.S.A. When you pass through the turnstiles and into the Magic Kingdom park, the first thing you will notice is the Walt Disney World Railroad. This classic attraction runs the perimeter of the park with stops in Frontierland, and Fantasyland and always returning to the Main Street, U.S.A. station. 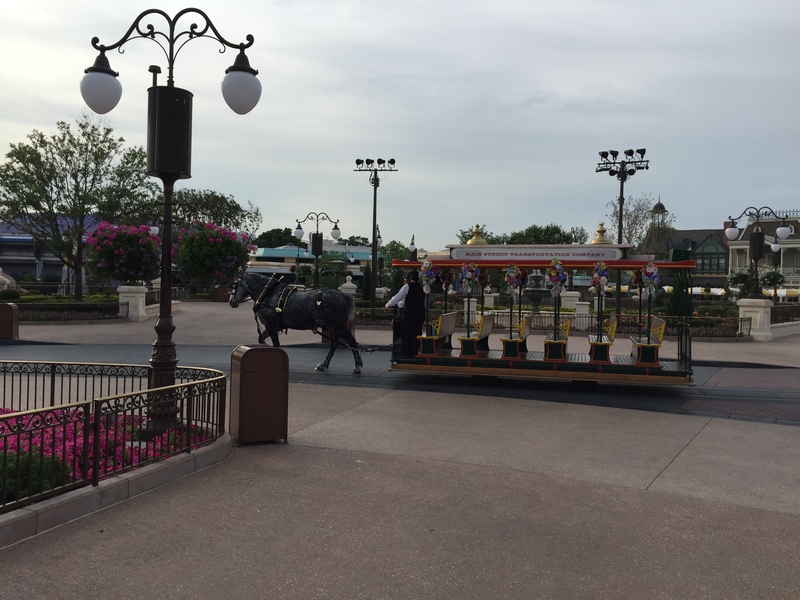 Tip: While the parades are running, the best way to exit the park is using the railroad. However, during the fireworks, the Walt Disney World Railroad does not operate. 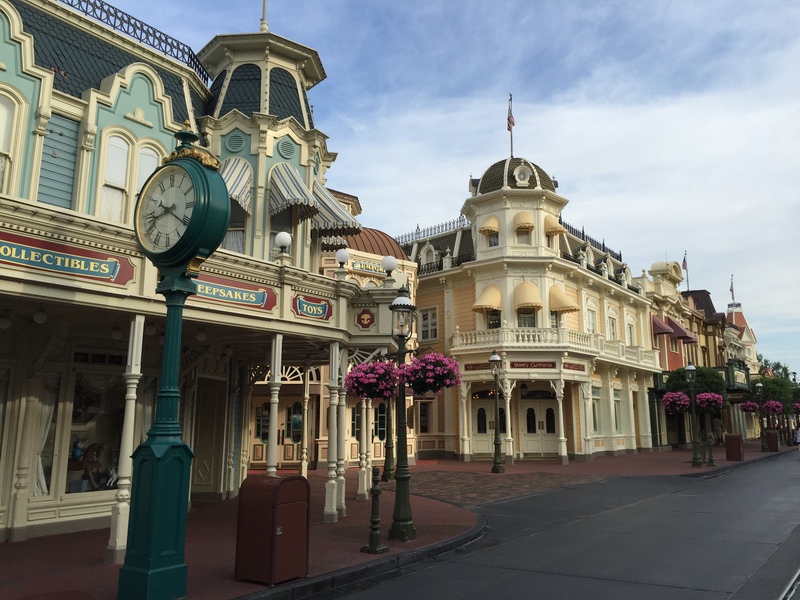 While you are walking down Main Street, U.S.A., take a moment (I know, it’s difficult) to appreciate the turn-of-the-century style small town feel. Also, look up! The names on the second story windows represent the many people who went into helping create Magic Kingdom and Walt Disney World. 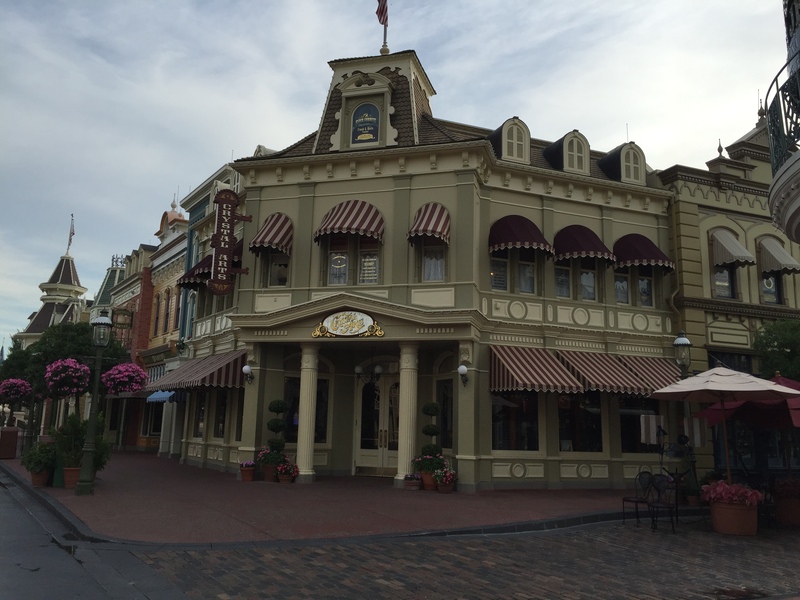 My husband and I enjoy strolling down Main Street, U.S.A. and seeing how many of the names we recognize or looking them up to see what their contribution was to the amazing park we are standing in! Main Street, U.S.A. is also home to some of the best souvenir shopping in the park! 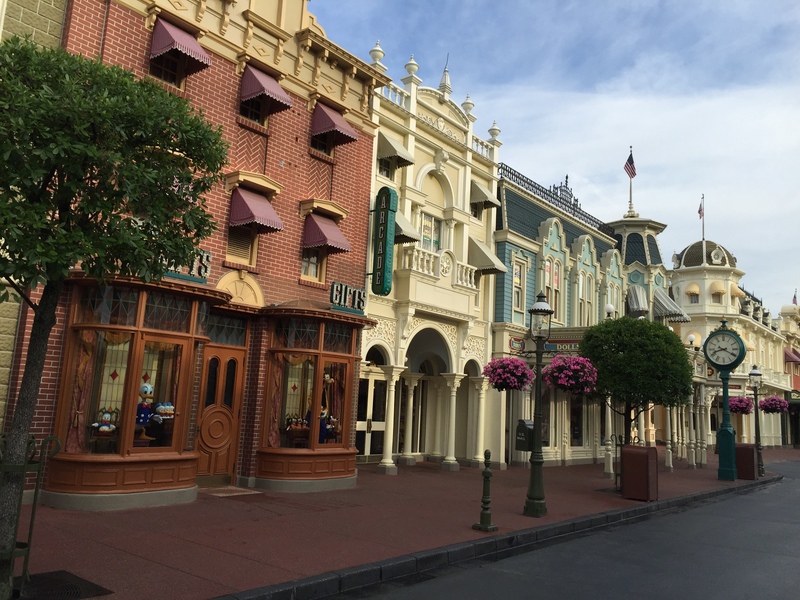 The shops along Main Street stay open for about 30 – 60 minutes after park closing but be warned, they are exceptionally busy during this time! Tip: There are a few options for guests who may want to go shopping in the afternoon when the crowds here are fewer but don’t want to carry their purchases around all day. If staying onsite, most of these quaint shops (and other shops around “The World”) will send the items you’ve purchased back to your resort by the next afternoon. This service is free of charge and be sure to confirm the shop offers this service before you purchase your souvenirs. Available to all guests (in the 4 parks) is the ability to have your purchases delivered and held at a kiosk by the park’s exit for pick-up as you exit the park. 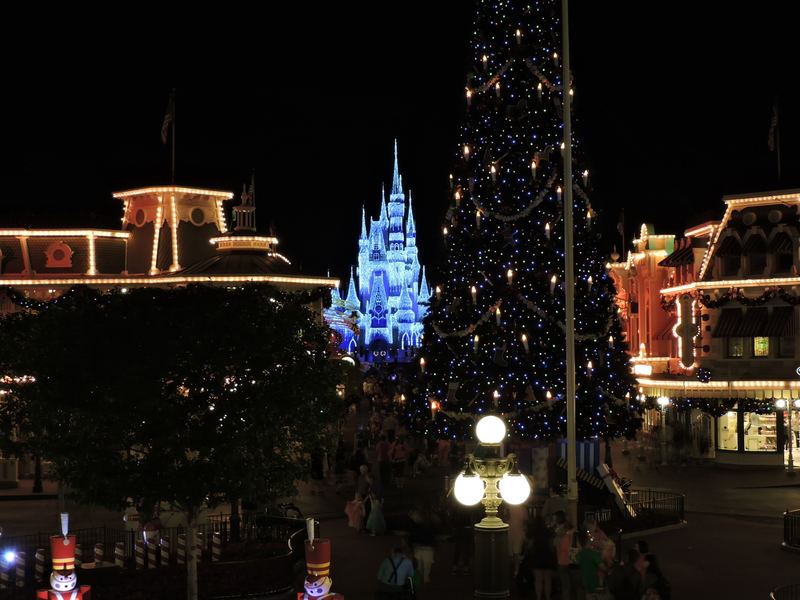 The best fireworks viewing locations are on the streets of Main Street, U.S.A.! Magic Kingdom is currently in the process of renovating the hub area in front of Cinderella’s Castle to include more fireworks viewing areas, these being accessible with FastPass+. Personally, I do not believe you need to use one of your precious FastPass+ (you only get 3, sometimes 4) selections on a fireworks viewing location. 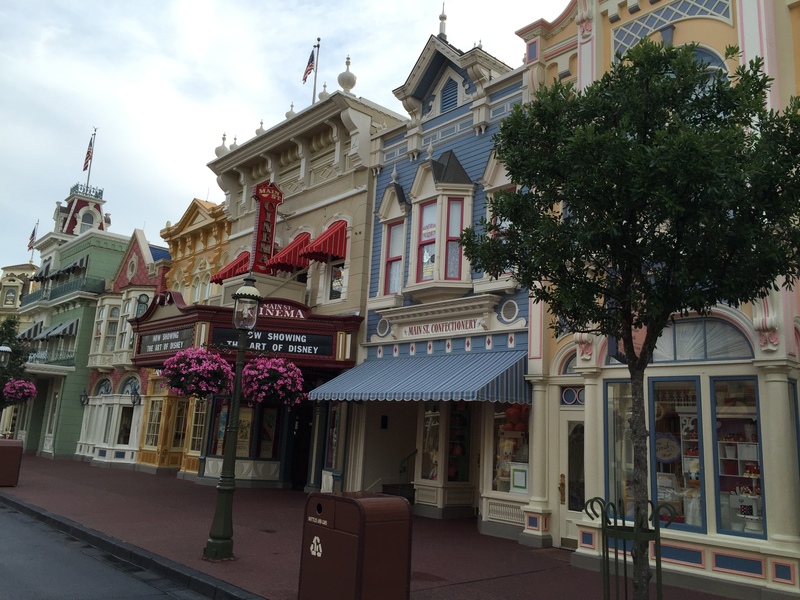 There are a ton of great viewing locations along Main Street, including over by Casey’s Corner. Keep in mind, the fireworks are happening over Cinderella’s Castle and there is a projection show on the Castle, so the closer you get to the Castle, the more your view may be obstructed. Don’t miss out on any of the parades happening at the Magic Kingdom! You may have to get there early to stake out your spot on the parade route but if you enjoy parades, the ones at Magic Kingdom are definitely worth it, plus it’s a great way to get off your feet and relax with your family for a while!